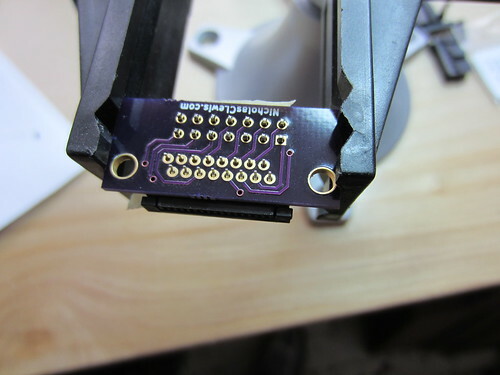 You can use the AUX_OUT header to extend the reach of your ink head and facilitate stacking additional shields on top. 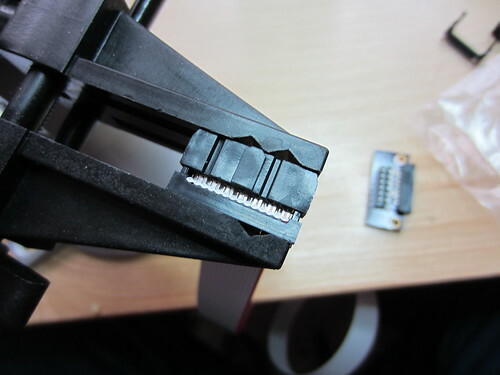 Assembly is very simple and just requires soldering two connectors to the PCB and crimping the IDC connectors to the ends of the ribbon. Use is also very simple. 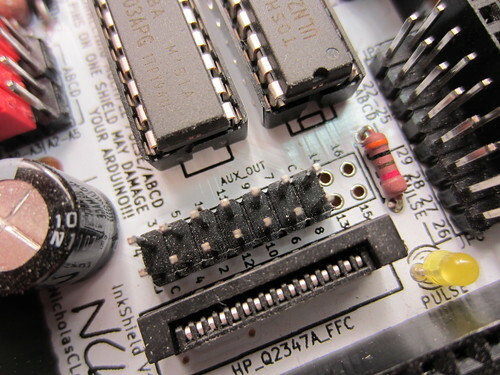 Simply plug one end of the ribbon into the AUX_OUT Header, with only 14 pins soldered on (the last four are “extra” for possible future use). Insure the red stripe on the ribbon is oriented the same on both the InkShield and the breakout. 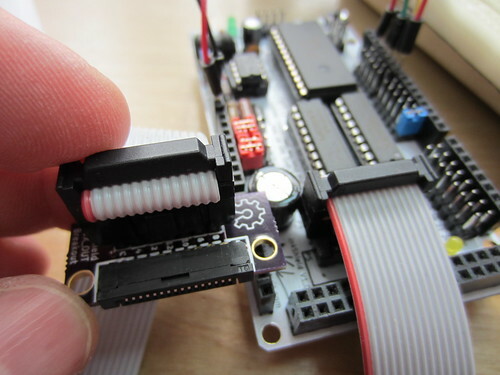 Then simply connect your ink head to the breakout and print as normal. 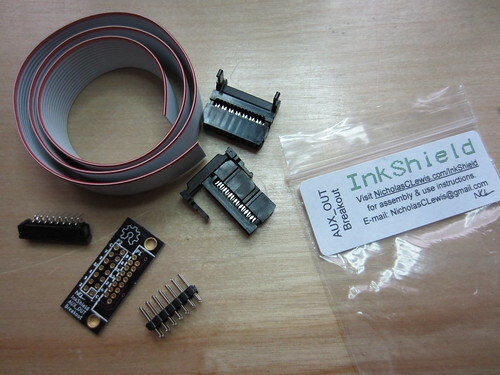 I have a breakout board kit available to buy in my store.